There are two types of vaporizers you can buy- portable and tabletop. Tabletop vapes are good if you never plan to use it outside your home. Portable vapes are good for keeping close at hand. 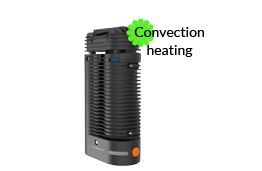 Convection: a more complex method that heats the cannabis more evenly by passing heated air over the flowers. 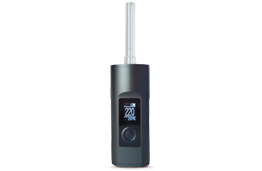 These vaporizers are usually tabletop types however there's portable versions as well. Conduction: heats the flowers through direct contact of an electrically heated surface. 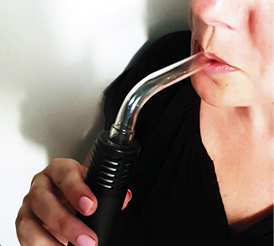 This is the more common heating method of portable vaporizers and vape pens. A decent portable vaporizer costs on average between $200 and $300. 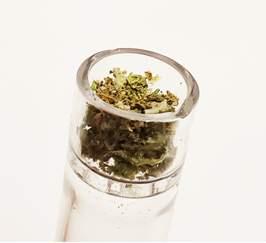 Tabletop vaporizers are usually higher priced. This can hit the wallet hard, however it's a one time cost, with proper care and maintenance, vaporizers can last for years. Look for a good warranty when purchasing a vaporizer. When it comes to choosing the right vaporizer you should consider your needs, does it need to be portable and discreet? Then you should look at something like the Pax 3 or a new vape called the Davinci Mini. However if you need a vaporizer that is portable but can go to low temperatures then the Arizer Air may be a better choice for you. Battery: One of the most important features to a good vaporizer is the battery. A removable battery means you can replace it easily if it fails, however if the unit has a good warranty on the battery then you can get it replaced if it fails within the time of the warranty. The problem with vaporizers with built in batteries is a higher failure rate because they batteries get so hot. 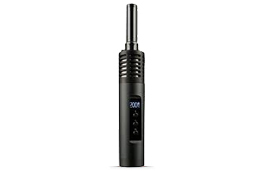 We have owned a Crafty and while this vaporizer is hands down a superior vaporizer that boasts a smooth vapor and great taste, the battery had to be replaced twice in one year and so we chose the Arizer Air as our vaporizer of choice. 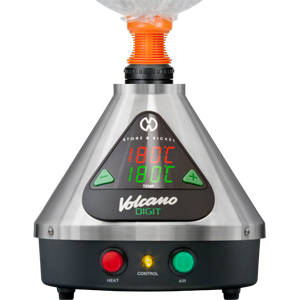 Below are some of the top portable vaporizers and their features. When choosing a vaporizer to buy consider how low you need the temperature to go, some vapes don't go lower than 176C/350F. Each vape is linked to the manufacturers website so you can take a look at the specs. There's more on the market than these, so do some research before you buy. TIP: We like to buy online from planetvape.ca or vapeworld.com as they have competitive prices and good customer service. Keep a second vaporizer on hand, even just a cheap one in case you have to send away yours for repairs or replacement. Fill the bowl until it's a cm or so from the top edge and tap it down lightly. You don't want too packed or it will be difficult to draw and get a good vapor. If you've ground it very fine, use a screen. Set the vaporizer to the desired temperature- once it's heated, wait 30 seconds before you inhale (get better vapor if you wait). Then inhale for a count of 5. Repeat as needed. When you're new to vaporizing it can feel like you've just blown up a balloon. Vaporizing can cause some dizziness at first, however this passes after a few minutes and after you've been vaporizing for awhile. 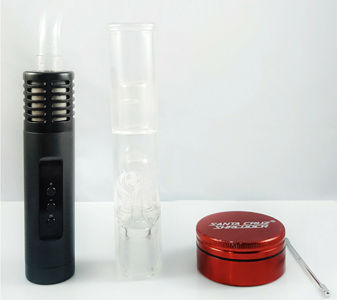 Most vaporizers have accessories you can buy separately such as bubblers and water pipes. These attachments allow you to cool down the vapor making it smoother and it helps bring out the terpenes even more. Research which water attachments you can buy with your device and give it a try, it's especially good when you have a sore throat or asthma. The greatest thing about vaporizing is the ability to control the temperature, the lower the temperature the less THC you inhale, also lower temperatures have a better flavour. Different cannabanoids and terpenes are released at different temperatures as well, 170C/338F to 200C/392F is considered the ideal range for low to high vaporizing, however you can try even lower to see how that feels, experiment with the temperatures to see what you prefer. We recommend you start at a low temperature for your first try. 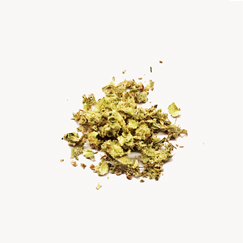 Keep the AVB (already vaped bud) as this is already decarboxylated and ready to use in edibles if you cook with cannabis. Lower temperatures are lighter and don't have the same mind altering effect. 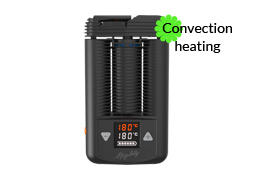 Best temperature range to enjoy the terpene flavours. Good for the daytime and when you need to stay alert. These temperatures are ideal for getting most of the whole plant (cannabinoids & terpenes). Lower mid range good for the day, higher temperatures can make you sleepy. These temperatures are best for the evening as higher temperatures can make you drowsy. The effects tend to go to the body more and are good for pain relief.